Welcome back to Inside Track. I’m Law.com reporter Dan Clark. I hope you all had a good Labor Day and hopefully did not get stuck sitting in traffic on your way from the closest beach to wherever you sitting and reading this. Today, we’re all keeping an eye on the Kavanaugh hearing drama, but there’s plenty more going on out there, especially for in-house counsel. Take for instance, the special “Future Issue” of Corporate Counsel magazine, which looks at how legal departments are slated to change in the next 10 or 20 years. I’ll bring you the highlights from that issue and the story behind it. I can be reached anytime through my email at dclark@alm.com or you can find me on Twitter @DanclarkALM. Let’s clear out the Labor Day cobwebs and get into the news. Well, technically looking back to Tuesday when the September Issue of Corporate Counsel went live online, but I digress. The latest issue was all about what the future holds for in-house counsel. Why the Future? I spoke to Corporate Counsel’s editor-in-chief, Heather Nevitt, about why she and the team wanted to do this issue. Her answer? The legal industry has to look ahead, as it is in the midst of change and disruption. ➤ Caroline Spiezio wrote about the effort by in-house lawyers who want to find a way for the legal profession to become more inclusive in the coming years. ➤ I wrote a story on the general counsel of the future. That would be someone who goes beyond the traditional scope of GC duties to help the C-suite make decisions. ➤ Kristen Rasmussen interviewed a group of millennial GCs who have been forced to make their own way in the legal world. And they may change how law departments operate in the future. 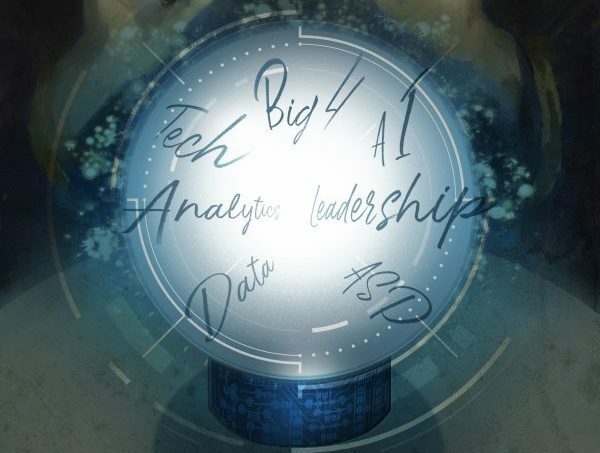 ➤Looking into the crystal ball of what the future holds for legal departments, Sue Reisinger found that legal operations and technology will seismically shift in-house lawyers’ lives. 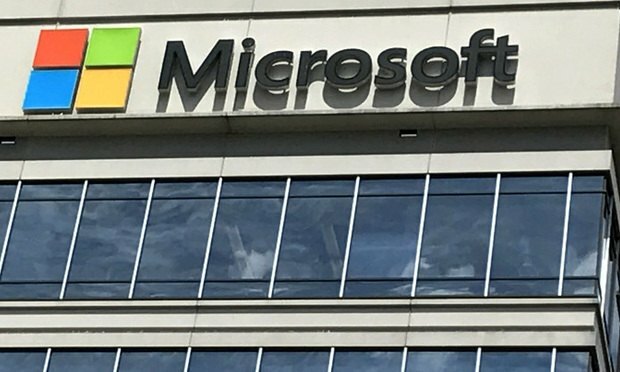 Recently, Sue Reisinger wrote about Microsoft’s new initiative, announced by GC Dev Stahlkopf, that will require its major suppliers to give employees paid parental leave. While many companies in the U.S. are offering paid maternity leave as a perk, few companies are requiring their vendors to offer it to their employees. ● Microsoft’s vendors will need to offer their employees 12 weeks of paid parental leave, up to $1,000 a week (that includes outside law firms). The rule applies to companies with 50 or more employees. It is not meant to supplant any future state or federal that require more parental leave. ● It’s actually not the first time the company has asked suppliers for more, in 2015 it asked them to offer a baseline of paid time off for employees. ● U.S. law requires that companies offer unpaid leave for parents, but there is no federal law mandating paid leave. However, there’s a bill in Congress that might change this. Speaking of Congress, bigwigs from Facebook and Twitter appeared on Capitol Hill today, testifying before the Senate about election meddling and social media. The whole time, a chair stood empty that was supposed to be filled by an executive from Google. ► In recent months, Google has continued to investigate Russia-affiliated agencies and Iranian political influence efforts on its platform, removing relevant accounts when necessary. ► Google has rolled out several solutions to stop foreign actors from interfering in elections. These include a new verification program for federal election ad purchasers, and a transparency report that provides data about election related ads that are purchased on Google’s platforms. ► It’s not a one company job. “Combating disinformation campaigns requires efforts from across the industry,” Walker wrote. Wednesday, September 12-Thursday, September 13. Global Leaders in Law (GLL) will be hosting the Ultimate General Counsel Conference in the U.K. in Pennyhill Park, Surrey. The theme this year is “Be The Change…” Wednesday, October 3. The GLL is hosting the Business Across Borders event in Bray, U.K. GLL is an invitation-only membership group offering general counsel a global platform for in-person collaboration to exchange ideas and receive advice and guidance from peers. For more information, contact Meena Heath at mheath@alm.com. Thursday, September 13-Friday, September 14. Prominent in-house lawyers will meet to discuss disruption and the changing role of GCs at Corporate Counsel Forum Europe 2018. The conference, which is co-chaired by two prominent general counsel, Sabine Chalmers of BT and Phillip Bramwell of BAE, will take place in the U.K. at Pennyhill Park, Surrey. Wednesday, September 26- Thursday, September 27. GCs from all over the country and beyond will gather in New York at the General Counsel Conference. Expect to hear about risk and regulation, executive leadership strategies, cybersecurity and technology and much, much more. Speakers include top-level in-house lawyers from AIG, AT&T and News Corp.
Wednesday, September 26-Thursday, September 27. Or if you’d prefer to network and learn from GCs in the hedge fund space, you might want to attend the Hedge Fund General Counsel and Compliance Officer Summit in New York. Panels include a discussion of AI and machine learning for hedge funds as well as sessions about corporate governance and regulatory examinations. Thursday, October 4-Friday, October 5. Where can you find a group of high-powered female in-house legal leaders getting honest about the challenges that women face in the profession? Check out Women, Influence & Power in Law, a summit in Washington, D.C. this fall. There are sure to be plenty of educational and networking opportunities, and speakers include big time in-house leaders from Pfizer, MetLife, Hewlett-Packard Enterprise and more. Sunday, October 21-Wednesday October 24. The ACC Annual Meeting is in Austin, Texas this year. Saddle on up to hear in-house lawyers speak on a variety of topics, from the first 100 days of the GDPR to pay equity and salary inquiry bans. High-powered in-housers from companies like Google, Clorox, Bayer, Honda and more will be taking the stage. Goal!!!! Global Soccer federation FIFA scored with its latest two hires. 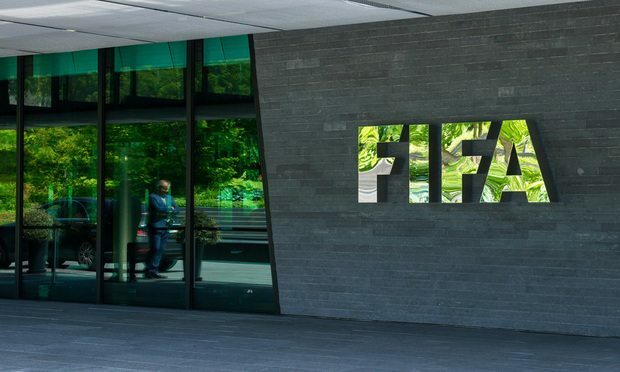 FIFA has announced that Alasdair Bell, the former GC of of the Union of European Football Associations (UEFA), will be its next top legal officer and deputy secretary. Joining him will be Emilio Garcia, formerly the managing director for integrity at the UEFA, who will be FIFA’s chief legal and integrity officer. Collectively, the two men replace former FIFA legal adviser Marco Villiger who resigned two weeks ago. Long time coming. On Tuesday, Panasonic announced that the long-time interim leader of its legal team, Jessica Hodkinson, would be promoted to the position of general counsel. She takes over for Damien Atkins, who left the electronics maker earlier this year to be the general counsel of The Hershey Company. Hodkinson started at Panasonic in 2013 and was promoted to deputy general counsel in April before becoming the interim GC. New Pilot. Plane and train maker Bombardier’s general counsel, Daniel Desjardins, will hang up with his wings and make room for Alain Rondeau to take the pilot’s seat at the company’s legal department. Desjardins joined the company in 1998 and oversaw 175 lawyers in 17 countries. Rondeau will take over the role after Desjardins retires on Dec. 31. Bombardier scored a recent victory in a trade dispute earlier this year with The Boeing Company. Worldwide Ads. Global internet advertising company Criteo announced on Tuesday that Ryan Damon, formerly the GC of Riverbed Technology, has been named as the general counsel of the Paris based company. Damon, who had his first day of work Aug. 1 replaced Nicole Kelsey, who left the company last year to become the top lawyer at Amyris. “Halo’s” General Counsel. The game developer behind the popular Destiny and Halo video games, Bungie, has hired former Microsoft attorney Aaron Kornblum as GC. Kornblum reached out on Tuesday and told me he started at the video game developer in July after working for Microsoft for 14 years. He said he is “very, very energized to join the Bungie team at this exciting time in the company’s journey and could not pass it up.” While you may not be interested in video games, you’ll probably be interested to hear that Bungie recent received a $100 million investment from Chinese video gaming company Netease. You could buy a lot of extra controllers with that kind of money.